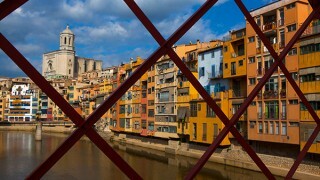 I visit the city Girona, Catalonia on a regular basis - and I'm always amazed by the quality of the light there! 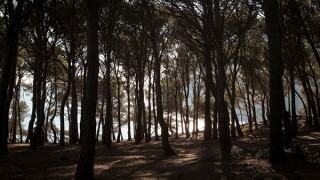 Wayward trees in the Dark Pine Forest, on the Mediterranean coast, Tamariu, in Catalonia. The little puffs of cloud that would present more little puffs of cloud the closer you get, if you could get closer, until there's nothing but a fine film of moisture. 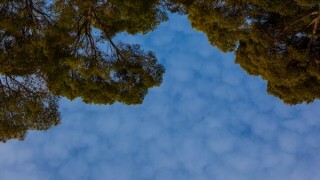 Everything is still, everything is countless spinning orbs of energy.